Gutters are designed to safeguard your home from the threat of water damage, but they are highly susceptible to debris build-up. Clogs can cause debilitating long-term effects to the gutters, roof, walls and even your home’s foundation. The best way to prevent gutter clogs is by installing gutter covers. In this post, the gutter experts at Lask Roofing and Siding, Inc. discuss the features that set Gutter Helmet® apart from other gutter covers. Most gutter covers utilize a combination of screens and grates to filter leaves and debris out of the gutters. The problem is that smaller debris can still get through the system and create a clog, essentially defeating the purpose of the gutter cover. Gutter Helmet doesn’t have this weakness. In place of screens and grates, these gutter guards boast a nose-forward design that blocks every kind of debris, no matter how small. The only thing that will enter your gutters is water. Unlike other gutter covers, Gutter Helmet utilizes surface tension to ensure the proper flow of water into your gutters. The system features a ribbed surface that water clings to as it enters through the cover’s narrow slit. This same feature allows Gutter Helmet to handle 22 inches of rain per hour – twice the highest amount of rainfall ever recorded in the country. 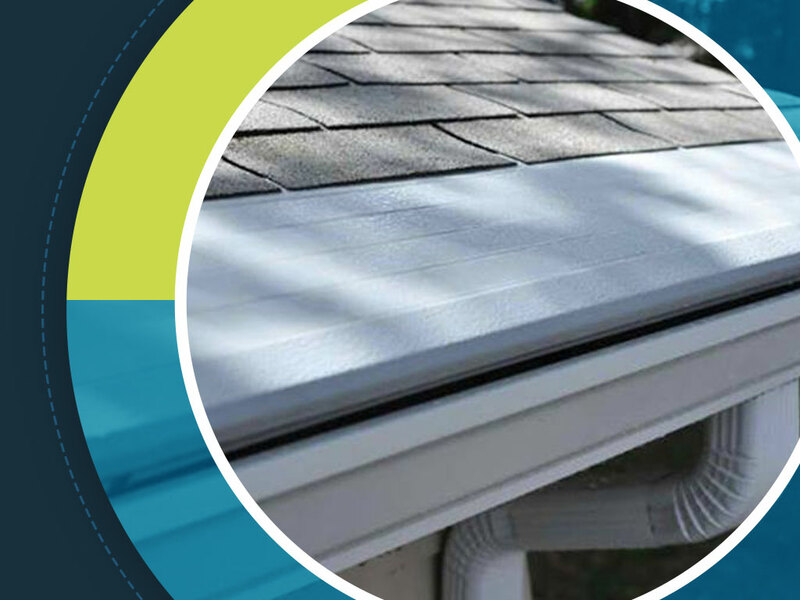 Your new gutter covers will be attached to your gutters with reinforced, heavy-gauge aluminum allow brackets that are designed to withstand strong impact, high winds and other severe conditions. Gutter Helmet will stay in place no matter what. Gutter Helmet’s PermaLife Finish gives it a sleek and attractive appearance that also protects it from chalking, fading and gradual corrosion. The best part is that it comes in a wide selection of colors, making it easy to find an option that complements the other components of your home’s exterior. At Lask Roofing and Siding, Inc, Gutter Helmet is at the forefront of our gutter protection services. Call us today at (815) 788-6699 to learn more about this gutter cover and our other services. We install Gutter Helmet gutter guards in Rockford, IL.